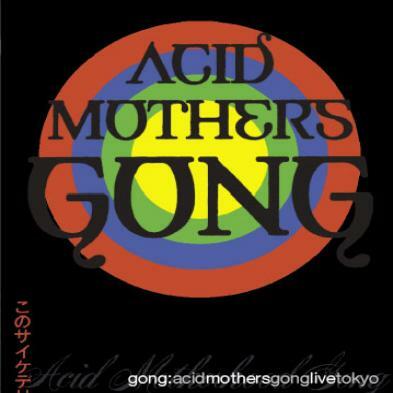 Gong/Acid Mothers Gong - "Live in Tokyo"
Acid Mothers Gong is quite an intense line up. In many ways, Acid Mothers Temple and Gong are well made to meet in a musical melting pot and you can certainly hear that Daevid is having a lot of fun making crazy music with the intense Japanese folks! The CD opens with a very strange and funny invocation. Crazy Invisible She features gliss guitar and Gilli doing her spoken words piece before the mayhem is unleashed! The Killing of Octave Docteur Da 4J soon takes us off into the magical GONG meets AMT. Spaced out and away we go. A lot of the tracks from the Acid Mothers Gong record are performed as well as a few GONG classics like the Isle of Everywhere (underwear) and The Om Riff as well. It is really the Ze Teatpot zat Exploded that really is a major freakout. Quite a special CD and a great recording. If you are a fan of Acid Mothers Temple you will dig this for sure. Pure GONG fans, this might be a little too far out but I loved it! Great release.